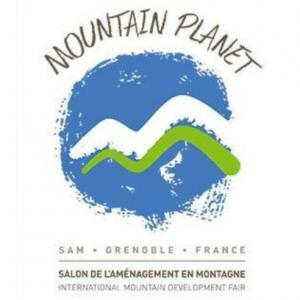 April 18-25 2014, a group of Russian mountain resort owners and top managers visited the trade show "Mountain Planet" (ex "SAM", Grenoble, France). 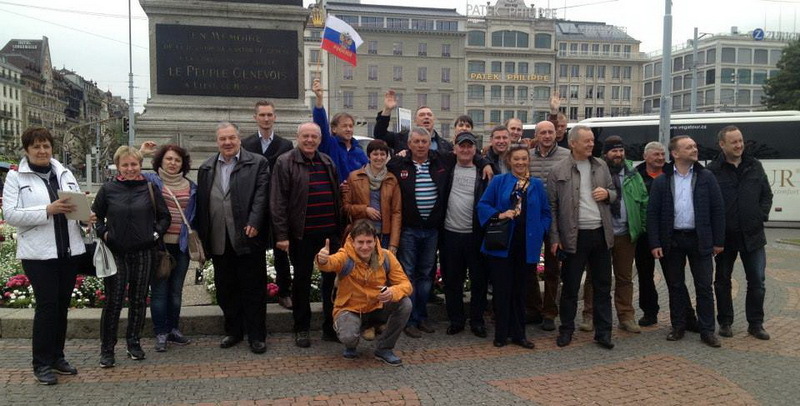 The trip was organized by the non-profit organization "Convention of Russian Ski Resorts" and its leader and founder Boris Petrov - supported by SalonExpo E-Magazine. Besides visiting the trade show, the program of the trip included guided tours of the resorts, skiing or snowboarding, meeting with the key figures of the skiing areas, information about the resort operation, Q-and-A, visiting the production facilities, and a cultural program. The representatives of exhibitions “Moscow Ski&Board Salon” and “Ski Build Expo” Anton Mizonov and Polina Kazartseva also participated in this event - below, we bring to your attention a small report about the trip. Day 1. Departure from Moscow to Geneva, transfer to Chervinia. Since our point of arrival was Geneva, it would have been a shame just to "pass through" this beautiful city - a shouting thank you for the exciting and informative guided tour! After the guided tour of Geneva, we were in for the transfer to Chervinia where we were finally able to rest after the long journey. The next morning we were in for a snowfall. However, this trifle could not break our “Olympic” spirit - we embarked on the bus and set out on our way. Before the skiing, we had a meeting with Giorgio Pession, the Director of Cervino Lifts Company. Photo: Giorgio Pession, the Director of Cervino Lifts Company shares the Italian experience of ski area management. Anton Mizonov is in his "interpreter" capacity. After the conference we went to the slopes that met us with a snow blizzard and (at the top of the mountain) – un-groomed slope. This was not much of a problem, though - most of our people were skiers with 20 years' experience and for those who had but recently started to be exposed to the magic world of the mountains - well, it was a great freeride experience! Photo: Polina Kazarceva is doing great! As we progressed down the slope, the piste became ever better, and down below we were in for a drink reception organized by the receiving party. A shouting thank you to the director of Cervino Tourism Management Enrico Vuillermoz for his hospitality and generosity! Day 3. Chamonix. Aiguille du Midi. Traveling to Aiguille du Midi ("Midday Peak") from Chamonix Valley is a life-changing experience - for which we want to say a special thank you to the unique lady Agnès Dûkroz. Not only did she organize our trip to Aiguille du Midi - but she also did for us herself a guided tour of Chamonix, her hometown. Photo: Andrew Morozov (“Kalinka-Morozov”) and Boris Petrov. Day 4. Visit to MND production facility and a trip to Lyon. The content of the forth day of our journey was provided by the company "GTZ" (General Director - Michael Payol). The day's agenda consisted of two parts: visiting MND production facility and a guided tour of the city of Lyon. At the MND facility we were cordially accepted by Nicolas Bordeaux, Russian area manager. After general presentation the group of Russian specialists looked around plant MND, which produces devices for the avalanche prevention. Photo: Nicolas Bordeaux answers the questions from the Russian specialists. Day 5. Skiing in Les 2 Alps. Skiing in Le 2 Alps included a tour of the compressor and pumping station by "Technoalpin" and skiing as such. Here we were a lot luckier with the weather and we all could enjoy skiing in the French Alps! At Mountain Planet, we had a stand of our own - it was a small but a very cozy one. It became a "Russian Club" of sorts - a place where not only the negotiations and meetings were held but also a "cozy little nook" where the Russian specialists could leave their things, and simply take a rest from the "heat of the expo battle". Photo: Stefan Kleinlercher, the project manager of Interalpin trade show and Anton Mizonov (Ski Build Expo) are proudly standing in front of the map of skiing Russia. Maria Danilova (on the right), company linguaXtrem (friend and partner of Ski Build Expo) also came by to visit. Alexander Solodyankin (ski resort "Nasledie") and Nikolai Korolev (“ISD - Information Systems Design) discuss the issues of Russian mountain-skiing industry at Ski Build Expo stand at "Mountain Planet". Representatives of "GTZ" Company - Pavel Sinev, Alexander Gudov, and Tatiana Slodukhina. Our journey was interesting and productive - it brought to us a lot of positive energy, lot of life-changing memories, meeting old friends and making new business contacts.